Alinea the Best Restaurant in the U. S.? Grant Achatz’s Alinea, located in a utterly non-descript building in Chicago’s Lincoln Park neighborhood, has been at the top of best restaurant lists for the 12 years it has been in existence. It earned its 3rd Michelin star in 2010, is consistently rated in the top 20 restaurants in the world on S. Pelligrino’s top 50 list (although it fell to 21 this year) and is widely recognized by other publications as the best restaurant in the U.S.
Is it really the best in the U.S.? I have no idea how to answer that question, having sampled only a small portion of the candidates for such a list. Furthermore, lists and rankings give the illusion of commensurability. They assume that there is a set of easily comparable standards and a single scale along which restaurants can be ranked. But when comparing restaurants that strive for originality, there is no such scale. What is the relative worth of innovation and creativity, authenticity, accessibility, and sheer deliciousness? There is no clear answer to that question. A better question to ask is whether Alinea achieves its artistic aims with something left over that exceeds artistic intention, that uncanny “something” that great art possesses. The answer I think is not quite, although the experience was surely enjoyable and unforgettable. In 2016, Alinea was at the top of its game when Achatz decided to close for several months to remodel the restaurant and retool the menu. After all, if your entire reason to exist is to be on the cutting edge of culinary art, stale familiarity is the kiss of death. Alinea is not really a restaurant. It’s performance art and artists are in the business of creating the new. The decision to revitalize seems inevitable when contextualized as a move within an art world. Chef Grant Achatz the patron saint of modernist cuisine in the U.S. has no tradition to which he’s beholden, no constraints other than the outer limits of what his patrons will accept, and he has an obligation to test those limits. At Alinea diners have no choices; you put yourself in the hands of a chef who has always relished disrupting expectations and challenging assumptions. 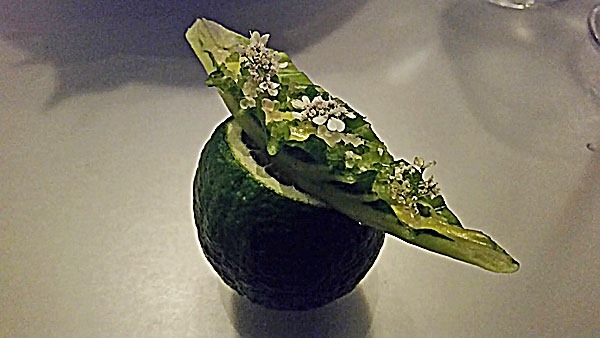 Like a well curated art museum, at Alinea it’s the allure of surprise and fascination that brings success. In that light, the logic of shutting down for several months in order to create new experiences seems unassailable. The former Alinea offered one, 16 course menu for all. The new Alinea features three experiences: for the Gallery menu downstairs there are two 16-18 course seatings each night replete with a communal introductory course, a visit to the kitchen while the dining room is transformed into more private spaces, and lots of emotion-invoking aroma and musical theatrics to accompany the food. [The cost is around $300 per person]. Also downstairs, there is a single group table enclosed in a glass box with a view of the kitchen that could be reserved only for groups at least when I was securing my reservation. [$385 per person]. And then there is the Salon upstairs which offers a paired-down menu of 10 courses similar to the Gallery menu but with fewer theatrics, for about $200 per person depending on what time in the evening you want the reservation. To dine at Alinea has been a goal of mine for many years and I was lucky enough to score reservations this year as we meandered through the upper Midwest heading toward Chicago. Reservations are difficult but not impossible to secure if your timing is right. Tickets for the upcoming month are released on the 15th of the current month at 10:00 A.M. If you’re at your computer at the appointed time and have a generous range of acceptable dates and times, you will likely get a suitable reservation. Unfortunately, even with my good timing I could not get a reservation in the Gallery during the short window of time allotted for our visit to Chicago. 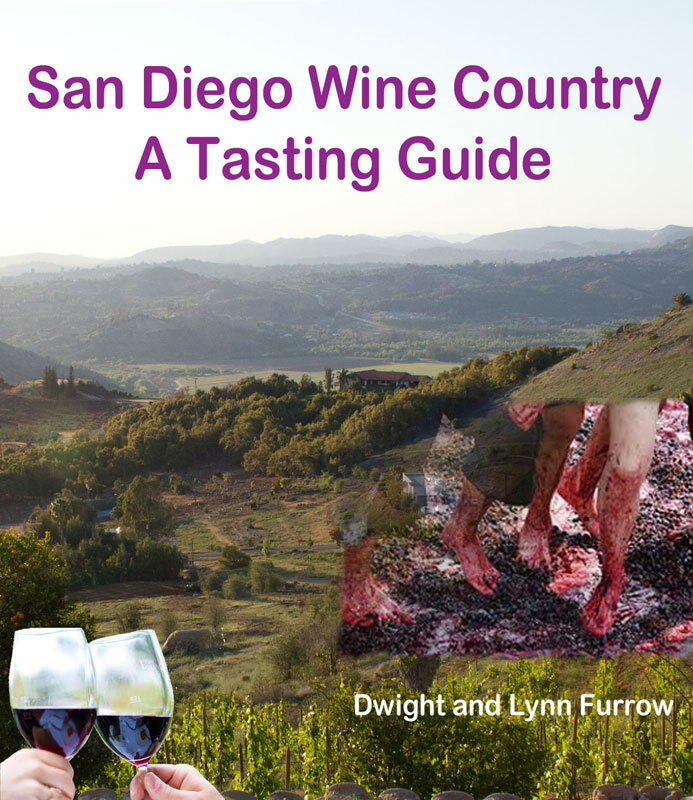 (I suspect VIP’s had the opportunity to book before tickets were available to the public since many slots were already filled at 10:00 A.M.)Thus, I had to settle for the Salon reservation and opted for their standard wine pairing ($135 per person). 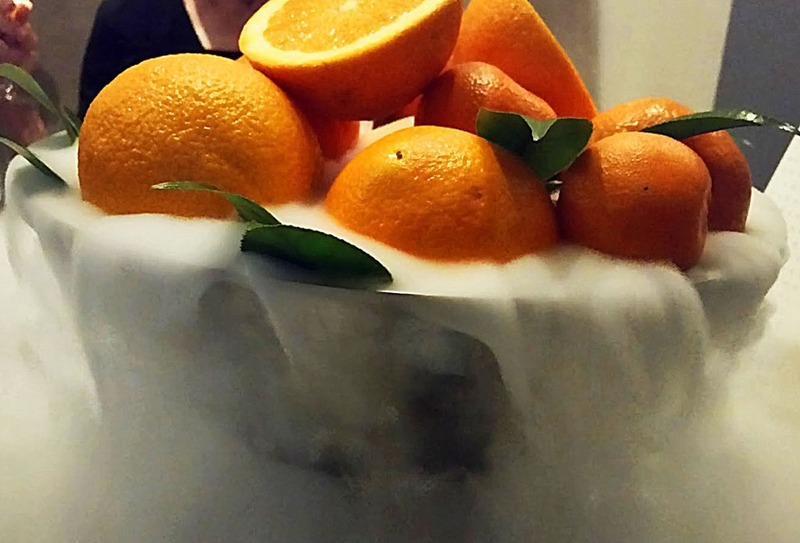 Achatz is one of the more prominent proponents of what has come to be known as modernist cuisine (aka molecular gastronomy)—the use of food science and technology to break down food molecules and recombine them in surprising new forms. The rap against modernist cuisine is that it’s idiosyncrasy for its own sake, dishes that are interesting without being satisfying, pleasing to the chef who can display virtuosity but not necessarily to the diner who is confronted with unfamiliar mash-ups of incongruous flavors. 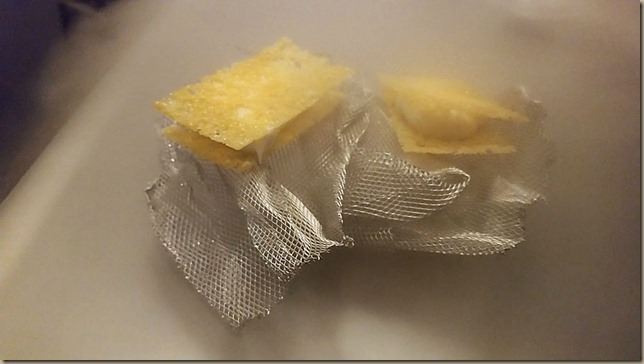 However, I found none of that idiosyncrasy and innovation for its own sake on Alinea’s new menu. There were no dishes that failed, and none seemed just odd with no other purpose behind them except novelty. If fact I was surprised by how traditional the flavor combinations were. Each course consisted of flavors typically found together in the region of the world from which the dish originated, but always with a twist that made the dish seem innovative. And of course there was always something about the form of presentation that was surprising and unexpected. I had never dined at Alinea so I can’t speak to earlier menus. 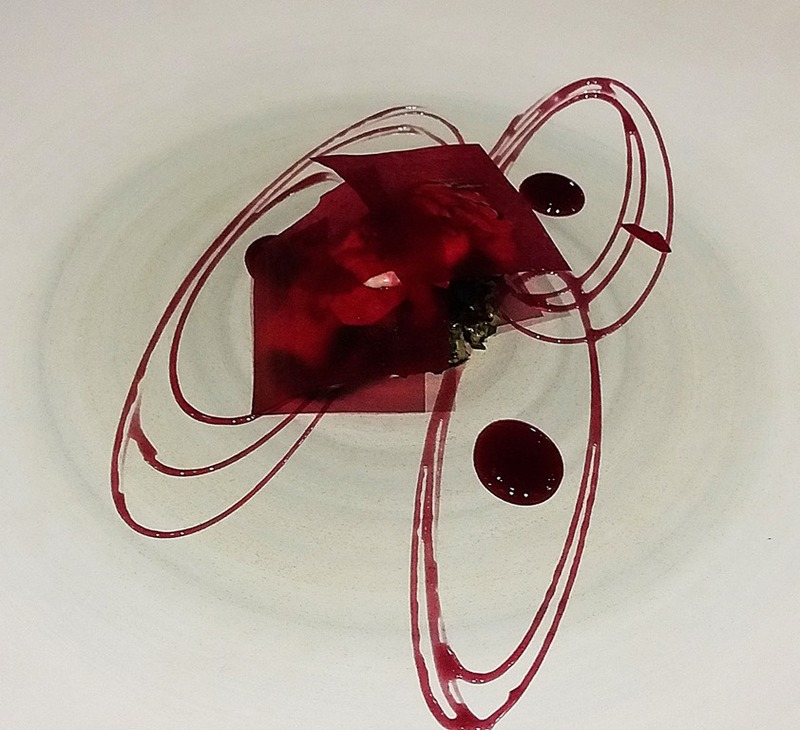 But in recent interviews, Achatz claims that in the reinvented version there is plenty of molecular gastronomy going on but it is disguised with ingredients appearing in their natural form with less manipulation than in its previous incarnation. Some of the dishes were in fact quite simple in appearance although flavor complexity was always present. Achatz’s current style is to play with form but leave the content in tact. There was less flash than I expected, less eye candy and more focused, robust flavor and clarity. The other feature of the meal that stood out is how weightless and delicate each dish felt. The bold, often earthy flavors were conditioned by ethereal textures, tender, melting, and ever evolving in the mouth. In almost every dish, flavor contrast was achieved through the judicious use of fruit that contributed to the impression of buoyancy. Why then do I claim the experience is only partly successful? In interviews with the press, Achatz has said that he’s interested in the capacity of food to evoke emotion. He wants diners to feel surprised, intrigued, nostalgic, exhilarated, puzzled, etc. That is all well and good. But food is ephemeral, not a stable object like a painting but an object that is consumed, disappearing relatively soon after it appears. Grasping its point crucially depends on memory and reflection. If we just eat without thinking, without mindful attention, the experience is gone before we can fully understand it. The problem with our meal is that it felt rushed. We barely finished a course before the dishes were whisked away and a new course appeared on the table. We had little time to discuss the dishes, ponder the feelings they evoked, or think about their meaning. The experience was like standing before a painting in an art gallery and being told you had only a few minutes to enjoy it before moving on. This is in contrast to tasting menus I’ve experienced in Europe where the pace is more leisurely. I get that restaurants need to turn tables to make money. But if chefs such as Achatz are serious about food being art, restaurants must provide the opportunity for reflection on what you’re eating. Savoring happens not only when the dish is in front of you but afterwards when memory and thought performs the crucial task of clarifying feelings, sorting though confusion and contradiction, and synthesizing random thoughts. On a related note, we were told we would be given a list of dishes served after the meal. But the descriptions on the list turned out to be too perfunctory to be particularly informative. Thankfully I took photos, a practice which Achatz used to ban, and a few notes to help reconstruct the meal and remind me of how ingredients in the dishes were related. Two amuse buches led off the proceedings. 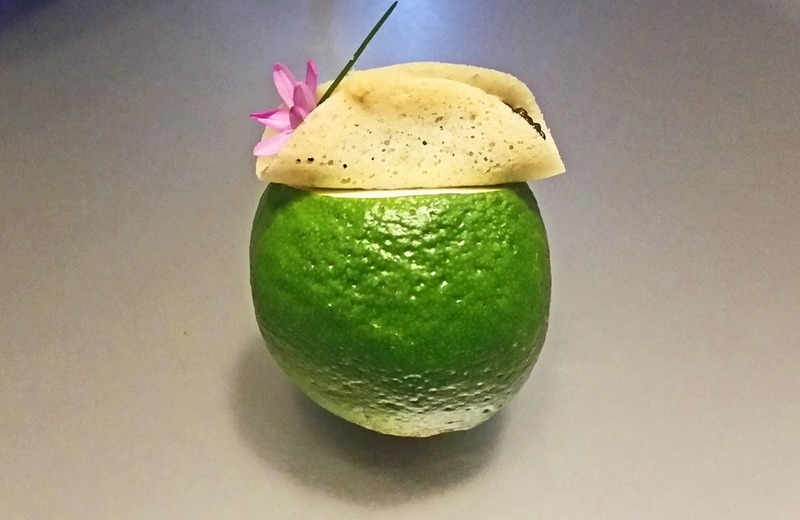 The first was a spear of romaine lettuce filled with avocado and garlic flowers, the second a banana pancake perched on a lime and filled with Osetra caviar. The contrast between the aggressive spear and the soft, comforting avocado had some emotional resonance. The caviar and pancake was paired with a textured, bready Bollinger Brut Rose Champagne—the only emotion it evoked was pure delight at the classic, perfect pairing. The first main course was one of the highlights of the evening. 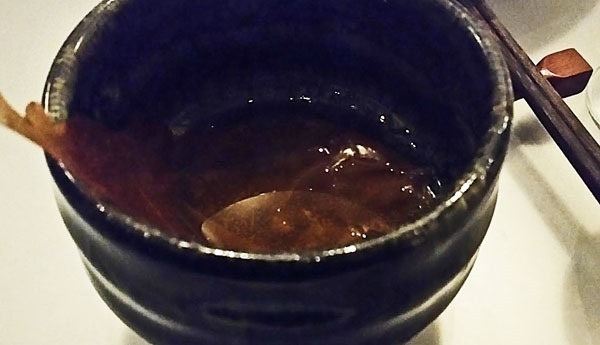 A rich, unctuous, umami-infused seafood and caramelized tomato broth was poured into a bowl containing a gelatin sheet of langoustine that formed a noodle when hydrated and then slowly melted into the broth. 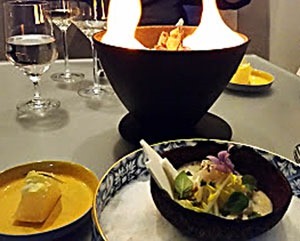 Called bouillabaisse on the menu, this bold, intensely flavored broth was accompanied by seaweed encrusted nori wrapped around a filling of creamy, spicy rouille, a chile and saffron sauce traditionally served with bouillabaisse in the the South of France. A melding of Asian and French flavors, the presentation was dark in color, the flavors deep and impenetrable like the sea, set off by the cheerful, encouraging rouille. This was paired with a Rouilly Premier Crus (Chardonnay) from a region in the south of Burgundy. Next up was one of the reversals for which Achatz is famous. The dish is called Bocadillo which is the name of a Spanish sandwich often filled with jamon and cheese. 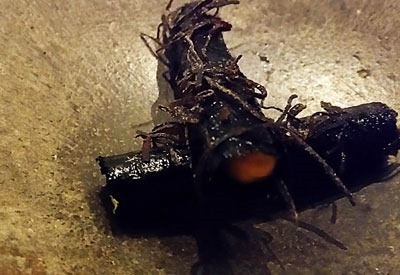 In this case, the gossamer-like crisps forming the sandwich contained the flavors of jamon and cheese; the filling was essentially a viscous, liquid bread (pictured above). The large fruit basket in front of us was drizzled with liquid nitrogen, the “smoke” pouring forth laced with aromas of orange, mingling with a deconstructed gazpacho salad of heirloom tomatoes, frozen sherry and orange, marcona almonds and gooseberries (salad not pictured). As noted above, these are all traditional flavors commonly found together but radically transformed. It was paired with a Rhyme Vermentino from Carneros. Our trip to Spain was then erased by a pan-Asia dish with Thai and Japanese inflections. A coconut broth surrounds a simple piece of black bass and mussels obscured by a garden of flowers, passion fruit, grapes, kaffir lime leaf, and dehydrated yuzu accompanied by compressed melon. An explosion of flavors and textures, the briny, plump fleshiness of the seafood was continually foiled by sweet fruit. The relentlessly, sunny joy of this dish was tempered by the mysterious black pot of flames set on the table as a centerpiece without explanation. Only a Riesling would pair with this dish—a lovely Weingut Brundlmayer “Heiligenstein” from Kamptal Austria. This visually gorgeous dish was entitled Glass, referring to the stunningly-hued sheets of blueberry blanketing earthy, maitake mushooms and foie gras, in a sauce inflected with the Chinese tea, lapsang souchong. Once again, Achatz achieves a seamless marriage of French and Asian flavors with fruit providing acid and sweetness to give the dish a lifted, delicate countenance, an impression encouraged by the cool-climate, acid-bomb Syrah by Peay from Sonoma Coast. And now we finally discover the reason for that mysterious burning pot in the middle of the table. It contains a bed of salt concealing a buried potato. Just a potato, but cooked sous vide for 12 hrs. and kept warm by the burning embers. After digging out the potato, the waiter crushes and mixes it with butter, crème fraiche and black truffle puree. This is rich enough to buy a yacht. One might complain about being served a mere spud but this was a soul-stirring spud, the humble potato proudly dressed to the nines by the velvet truffle. The last savory dish may be the best single dish I have ever eaten. And it was quite simple. 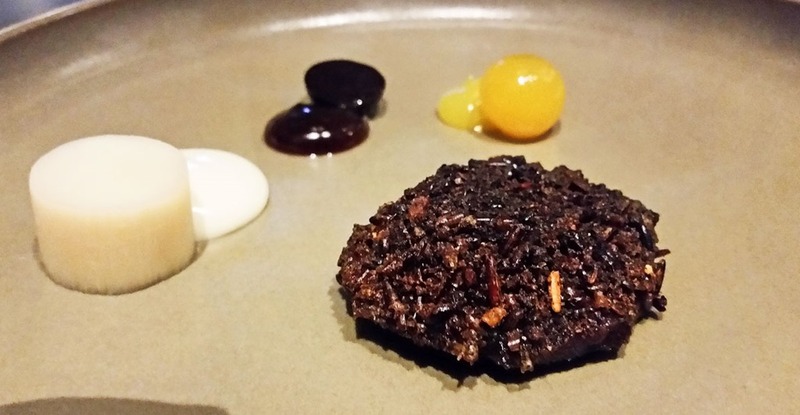 Wood-smoked veal cheeks in a coating of fried wild rice—very Midwestern—and served with a puree of vanilla flavored beef jerky, pineapple and hearts of palm. The contrast between the exterior of crunchy rice and the melting, almost fluid, yet deeply concentrated veal was one of those magical moments of sheer beauty, a fitting end to the savory portion of the meal. These last two dishes were paired with the standard but always reliable Argiano Brunello. For me desserts are an after thought. The sweet potato, chocolate, miso dish called Rock was sweet, crunchy, and gooey, great fun even if desserts aren’t your thing. 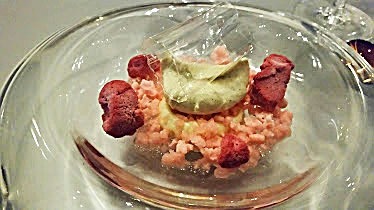 And finally the dish called Nostalgia was essentially bubblegum ice cream and cake. Even as a kid I wasn’t a huge bubblegum fan so this didn’t resonate. But that’s just me. Finally, the only dish that survived from the earlier incarnation of Alinea was the grape-flavored balloon filled with helium that ends the meal. When eaten it does the helium thing to your voice. When I read about this years ago it sounded gimmicky—it was. So in the end I think Alinea richly deserves its reputation. The dishes are thoughtfully conceived and just delicious. Buoyancy, a delight in surprise, a healthy respect for tradition, and a sensibility for how Asian and European flavors and textures can be combined define Achatz’s current cooking style. And if you make yourself available for the emotional resonance of the dishes, they do acquire added meaning. If Achatz succeeds at making us more aware of the subtle almost imperceptible feeling states that are continually regulating conscious experience and are expressed by the food we eat, he will have greatly expanded our enjoyment of food and life. The next time I’m passing through Chicago it will be hard to resist the temptation to discover what’s cooking at Alinea. Cross posted on Edible Arts on 10/5/2017.